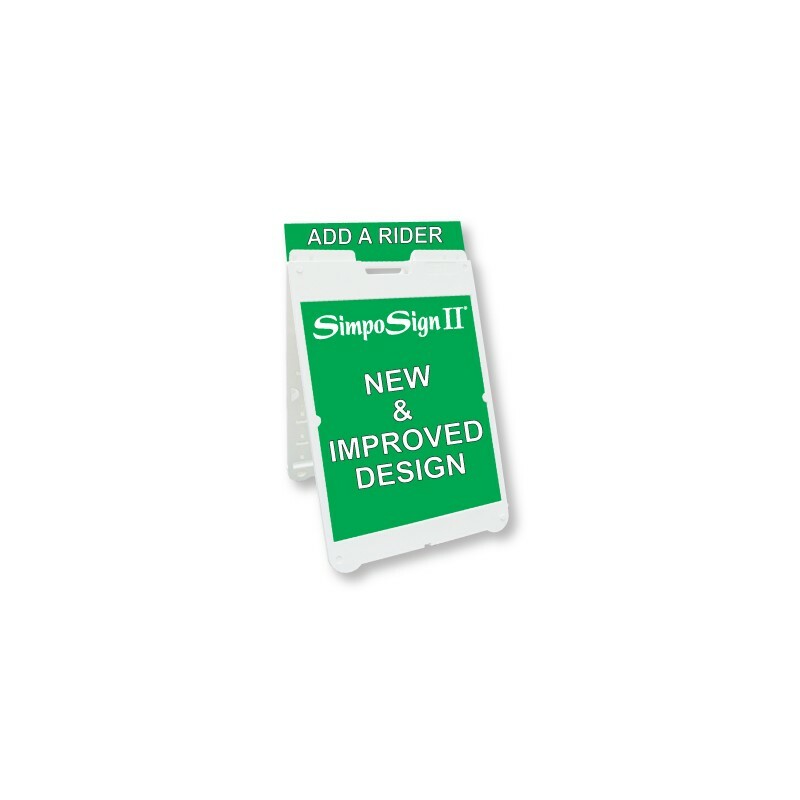 Plasticade® SimpoSign II® is a best-seller at Express Sign Products because of its versatility and good bang-for-your-buck. 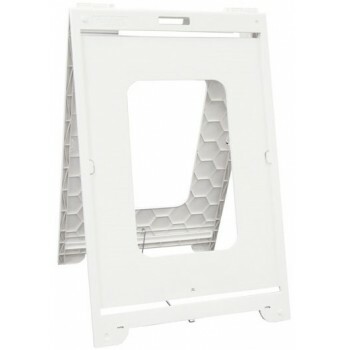 This durable plastic A-frame holds 22" wide by 28" high sign panels. 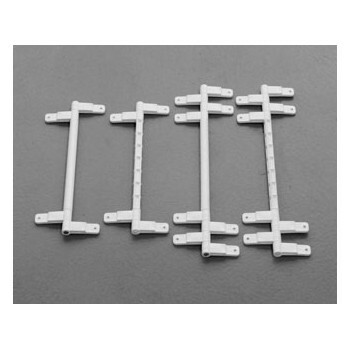 Its patented Quick-Change™ feature lets sign blanks slide in and out easily, reducing change times to seconds. 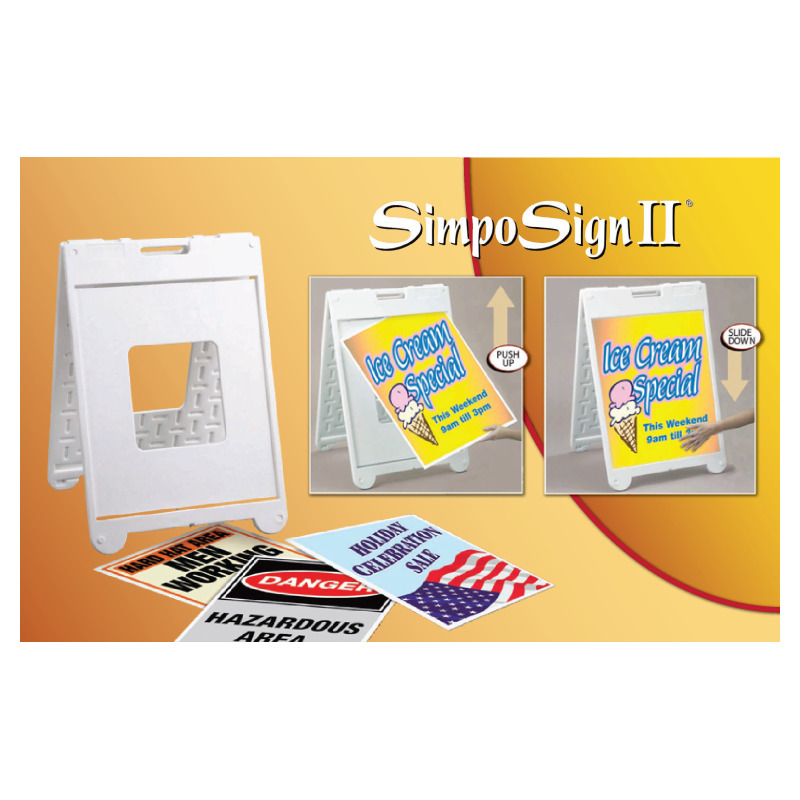 The SimpoSign II® can hold sign blanks up to 3/16" thick including corrugated plastic, metal, and acrylic substrates. 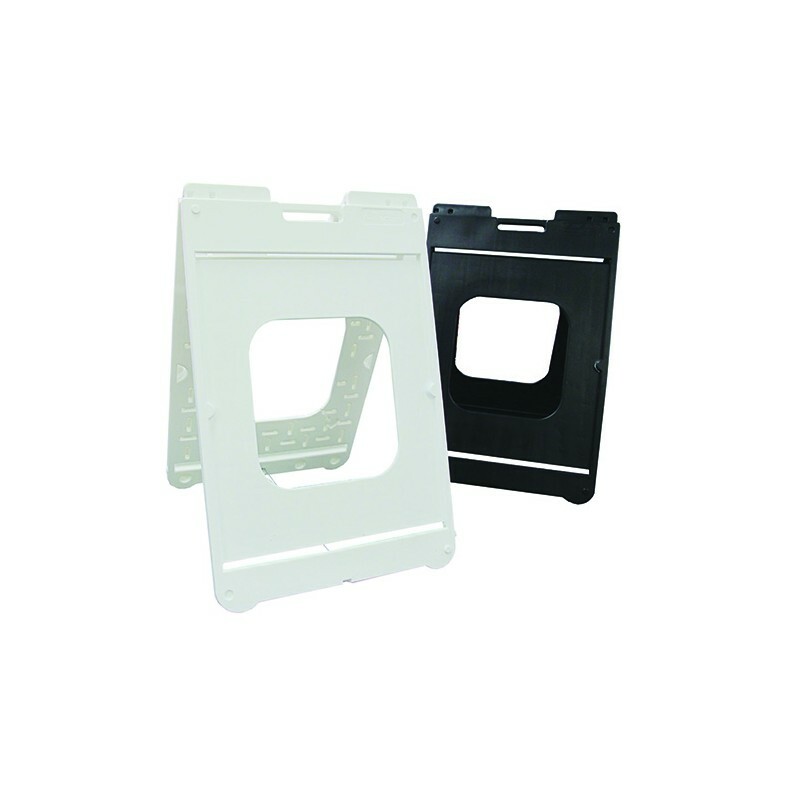 Grabber Hinges can hold a sign rider and keep frame from opening too far. 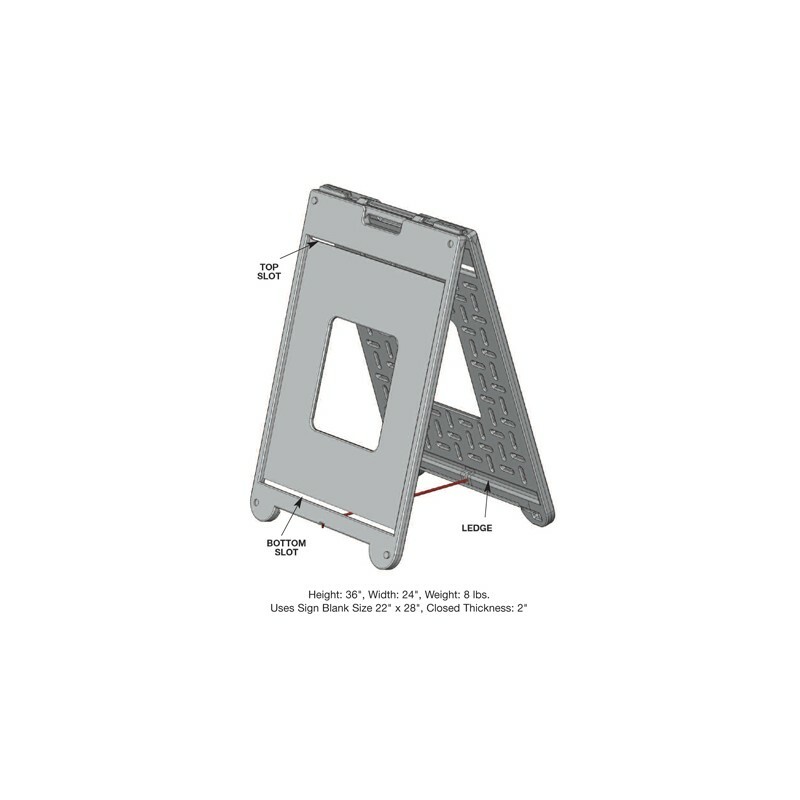 With its special hollow construction, the SimpoSign II® can hold up to 6 lb of dry sand as internal ballast. 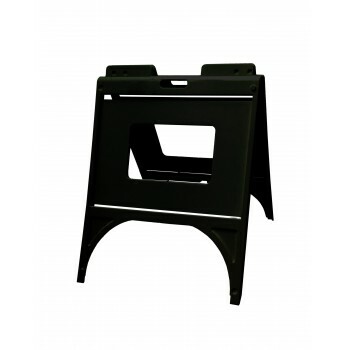 Textured feet help secure the frame on smooth surfaces or dig into soft ground and gravel. Plastic construction provides multiple benefits. 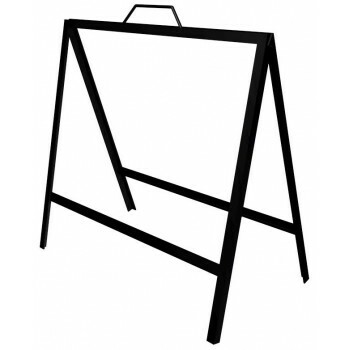 These strong, attractive sign frames don't rust, don't splinter, and don't require maintainance. Additionally, their aesthetics don't degrade over time. 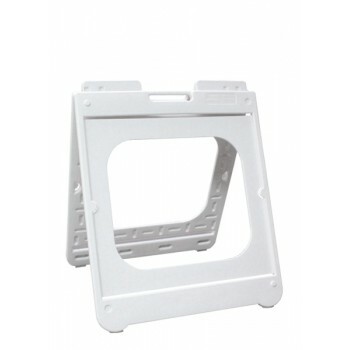 A molded handle provides easy portability while molded lugs keeps folded, stacked frames from sliding and shifting. 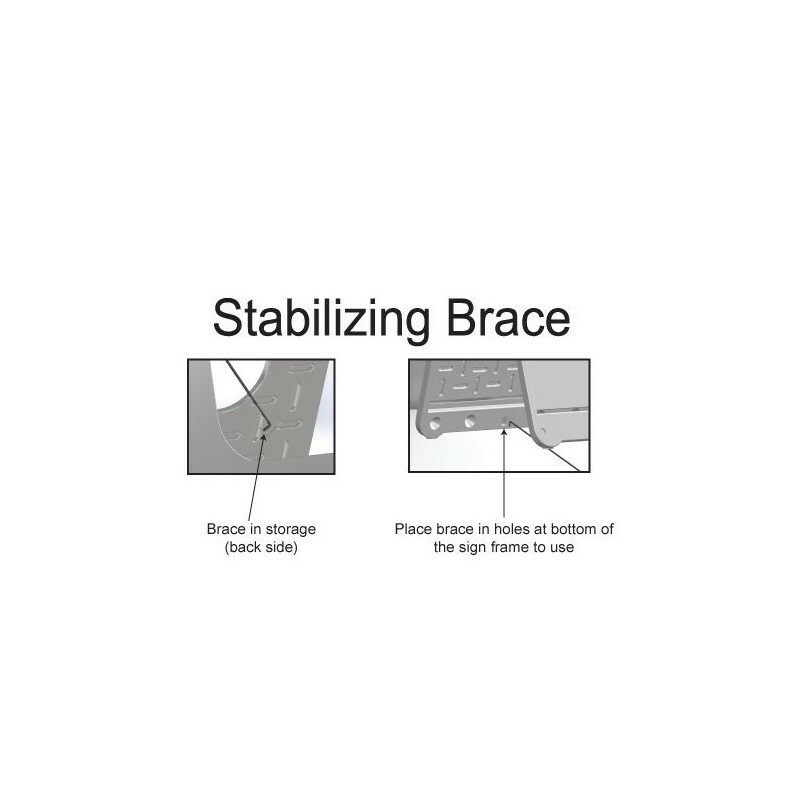 A metal stabilizing brace prevents accidental spreading or closing of the sign frame.